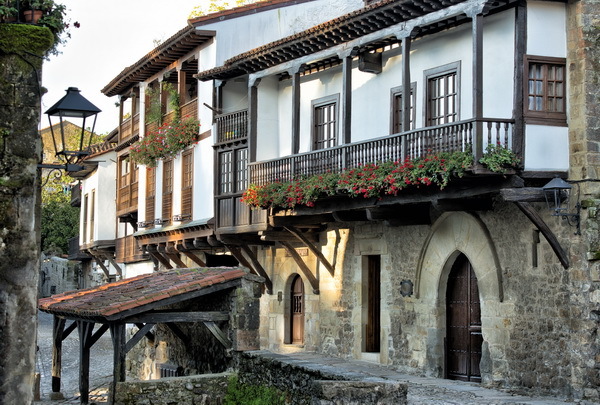 Once described by Jean-Paul Sartre as ” the most beautiful village in Spain”, the seignorial, medieval village of Santillana del Mar, at one time the capital of the so called “Asturias”, is also popularly known as “el pueblo de las tres mentiras” – “the village of three lies”. It is not holy “San”, it is not flat “llana” and it isn’t really on the sea “del mar”. 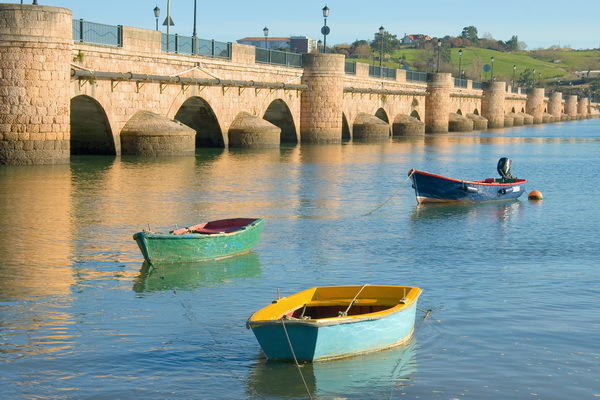 But whatever it is and isn’t, it is a must for any visitor to Cantabria. Its ancient cobbled streets and squares, its fine palaces, emblazoned with elaborate coats of arms, and humbler, yet still majestic, half-timbered, balconied, golden stone houses have a certain magic that will remain in your memory long after your visit. Lying in a gentle, valley of emerald green fields where cows graze happily, the pleasant surprise is that it has seen few changes since medieval times. A village of great wealth originally earnt from wool and linen, it has housed nobility from all corners, from the Spanish Sir Philip Sidney, Inigo Lopez de Mendoza, to an archduchess from Austria. 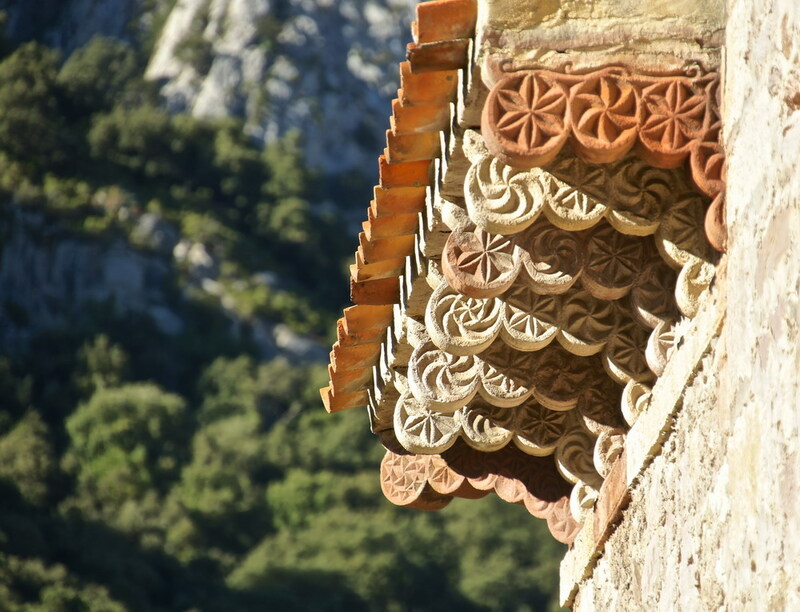 Her mansion sits proudly across the way from what is undoubtedly the highlight of Santillana – nestling comfortably at the far end of the village – the fine Romanesque Colegiata Santa Juliana and its beautiful cloisters with amazing, biblical sculptures will delight even the most discerning. The more modern, exciting sculptures of local boy, Jesus Otero, can be seen just across the way at one of the village’s fascinating museums. These all organise enlightening exhibitions from torture to local themes, many featuring Cantabria’s seafaring past and its links with the Americas, but perhaps the most interesting of them all is the Museo Diocesano in the seventeenth century Convento de Regina Coeli, which has an exceptional collection of ecclesiastical artefacts, lovingly restored by the nuns. 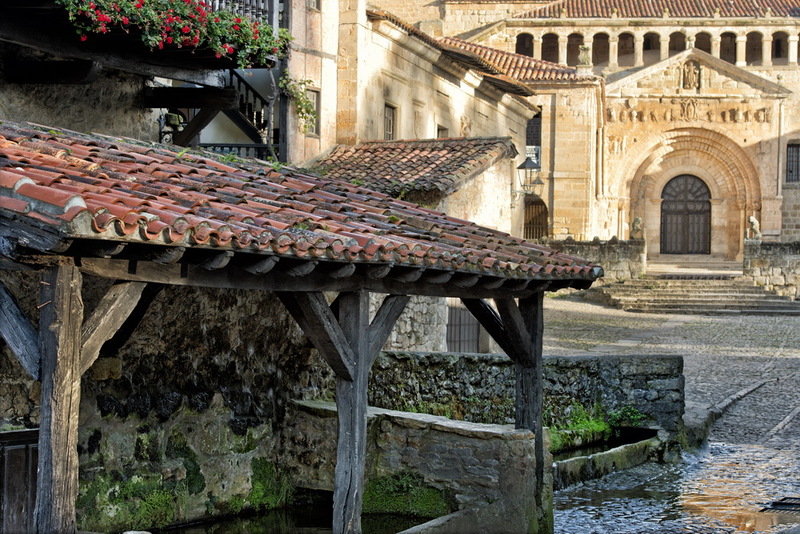 You might be forgiven in thinking that with all of this, Santillana might have enough to offer for a day out, but there is more! The amazing Caves of Altamira, known as the “Sistine Chapel of prehistoric art”, discovered as if by magic by a nine year old girl, Maria, in 1879 and now recognised as a World Heritage Site for their unique, almost “mind blowing” primitive paintings, are just up the road in the nearby hills! Though now recently re-opened to the public, in very limited numbers, most have to do with the next best thing and visit the exact replica at the excellent Museo de Altamira nearby. If your energy has not waned, then a good way to end the day, particularly for the kids, is a visit to the impressive local zoo which houses hundreds of species of animals whilst remaining quite compact. Apart from the usual lions and tigers there’s a special connection with the cave paintings in the area and part of the zoo, the Quartenary Park, is dedicated to animals which feature in the primitive art; European bison, Przewalski horses, deer, boars, reindeers, bobcats, boreal boar, European otters, bears, and wolves – all of which which really help the kids, and the parents, interpret and understand the beauty of the paintings. 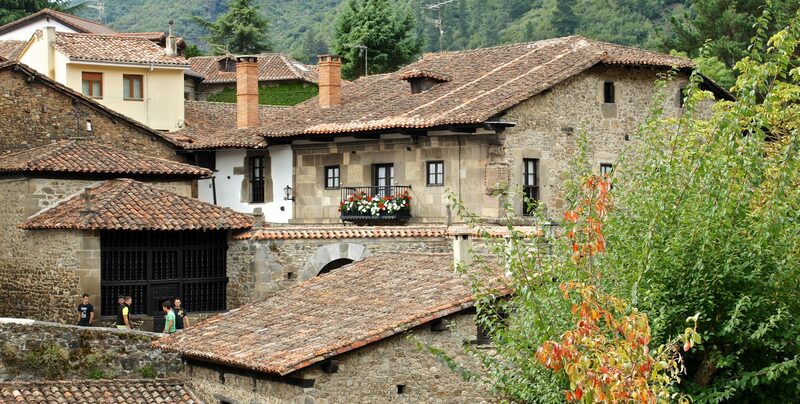 Next Article Potes – “The town of bridges and towers”.